Maybe you are searching for a state that's overflowing with excellent hiking options. If so, then look no further than Georgia. Within easy access of Atlanta, you can find hikes to suit every ability, from short walks for beginners or young families to more challenging trips perfect for experienced hikers eager to spend a few days out of the city. From the Alpharetta area to the southern coastal region, there really is something for everyone. Arabia Mountain Top Trail: This is a dog- and child-friendly hike of 1.3 miles across fields of exposed granite and round lakes within view of two mountains. It is one of the more popular walks in the national heritage area, and the views from the summit are spectacular. Mountain View Trail: This dog-friendly hike of 2.3 miles is rated as moderately difficult. It's one of the newest trails in the park and goes along the crater filled base, into the forest, and along lake shores. Follow the blue signs on trees and rock outcrops, but be vigilant so you don't miss them! Sawnee Mountain Indian Seats Trails: This is a slightly longer and more difficult 4-mile trail. Dogs aren't permitted. This hike offers up some of the best views in Northern Georgia. Climb to the summit of Sawnee to catch a glimpse of the Blue Ridge Mountains on the horizon. These are just three of the many options for nearby day hikes in the area. You'll be spoiled for choice in Alpharetta. 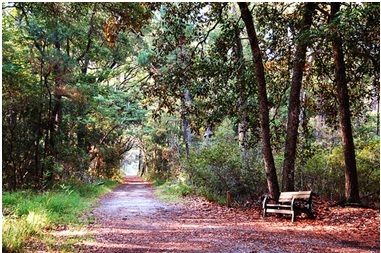 Cumberland Island: This island was once the home of the Carnegie family. You can explore more than 50 miles of almost flat, sandy trails across beaches and around the ruins of the family mansion. While a day trip is possible, you can also camp on the island to really experience tranquility. State Park of Skidaway Island: If you're interested in seeing where moonshine was made during the prohibition, then this could be the location for you! Three short hikes on this island all include a visit to the liquor stills. You could try the 2-mile long Sandpiper Trail & Avian Loop or the Big Ferry Trail and earthworks loop for a 3-mile long hike. Georgia really is a hiker's paradise. If you're ready for adventure, the state is ready to share her secrets with you. What could be better than exploring such natural beauty all within easy reach of civilization?